The importance of health and diet was intrinsic to my upbringing. My father was disabled in the pandemic Encephalitis lethargica, a disease that affected over 5 million people; killing nearly a third of them. My grandfather was Professor of Medicine and head of the teaching hospital in Oslo, Norway. He is famed for pioneering blood transfusions; research of vitamin B12 deficiency; also his authority on diabetes, and was a founder and chairman of Novo Nordisk, Copenhagen. I graduated in Biological Sciences at Dundee University, before appointed as Research Assistant to Professor Sir William Stewart; who later became Chief Science Advisor to the British Government. He wrote the “Stewart Report” on microwave radiation, and eradicated anthrax from Gruinard island. I then taught Biology for 26 years and was Principal Teacher of Biology at Bell Baxter High School in Cupar, Fife.I had personal experience of the benefits of shiatsu when I was seriously ill following an exposure to an insecticide.I trained for 3 years at the Glasgow School of Shiatsu, followed by a postgraduate year for the MRSS. I was then invited to stay and train with Pauline Sasaki in New York. I am featured in her “ The Human Potential ”. I have carried out treatments in Scotland, England, Norway and New York. Libby McGugan is a doctor, writer and musician. She grew up in Airdrie and studied medicine at Glasgow University. An NHS emergency medicine consultant for nine years, she has experience in air retrieval, field hospital medicine, medical education and major incident planning. She is now researching the impact of intention on recovery, and outlined the concept in the 2015 Glasgow TEDx talks. Her particular areas of interest are around the developments in neuroscience, molecular biology and physics and how these relate to both patient and medical practitioner experience. She is developing this research with Strathclyde University. “A great number of people have benefited from the skill, expertise and empathy to be found within Michael' s treatments"
I am married to Kirsty. 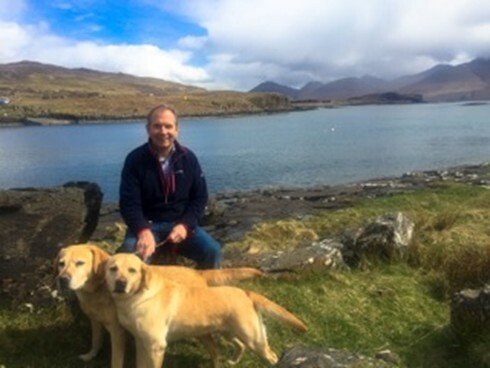 We are Quakers living on the Isle of Mull with our two Labrador dogs, where we have a registered smallholding with goats, geese, hens and bees, and grow vegetables and fruit organically. 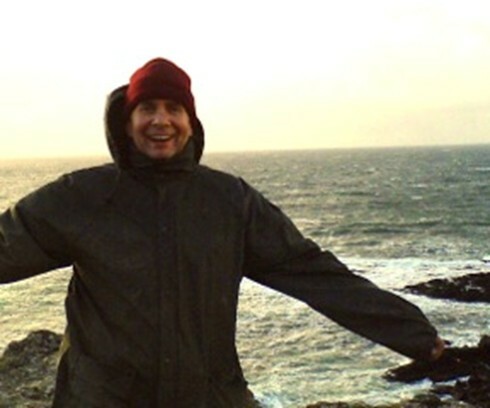 Michael Shilson BSc MRSS, Registered Shiatsu Practitioner in Oban and on the Isle of Mull, Scotland.